The Cookie’s website is a little overwhelming, but it is chock full of clothing options as such low prices that I kept calling my husband over the the computer so that we could marvel at them. $6.99 for a set of aqua thermals? Maybe not the quality that I’d want my kids to wear on a regular basis (I prefer 100% cotton) but beyond perfect for costume-making! My biggest complaint is that I couldn’t find as many solid boy basics from which to craft a costume for my son–there were a lot more girl basics from which to choose. After focusing on the collection of clothes that you see above, I ordered everything except for the pink sweatshirt–and came in at just about $50, which was, in itself, shocking to a NYC dweller. I’m definitely going to have to check out one of the brick and mortar Cookies Kids stores–there are 7 in the NYC area in the Bronx, Brooklyn and Jamaica. 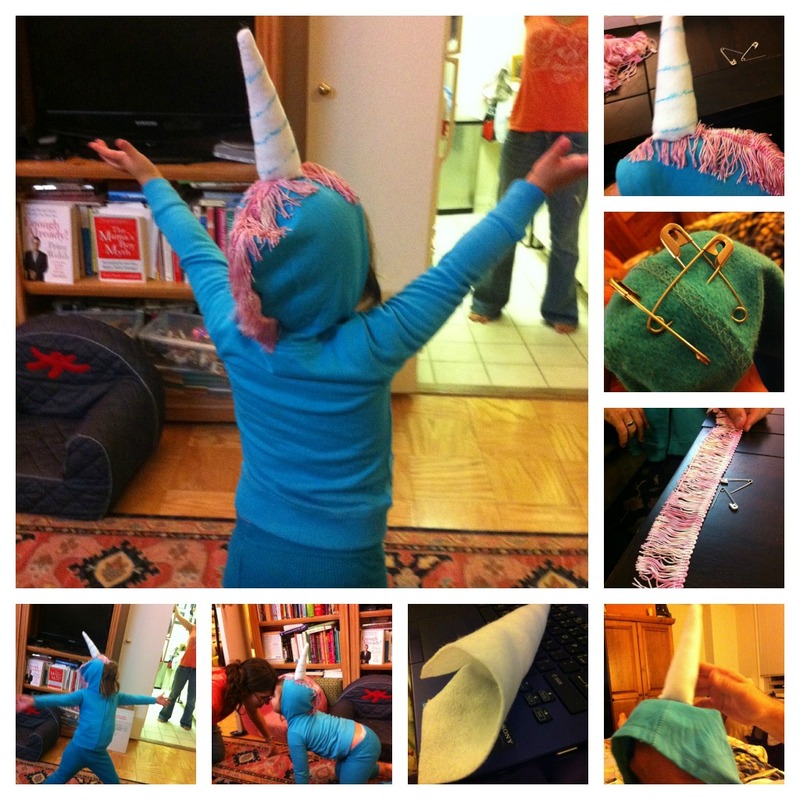 For my final costume decision (I had some serious trouble making up my mind what to do), I decided to create a unicorn outfit for my daughter, using the aqua hoodie, the thermals of the same color and some odds and ends that I had at home–including a piece of white felt, some blue glitter glue, a piece of pink fringe and a whole bunch of safety pins. This was the only piece that involved sewing, so I enlisted my husband’s help on this one (check out cuddleSocks for more of his handiwork). We rolled the felt into a cone, stuffed it with fiberfill and sewed it closed. 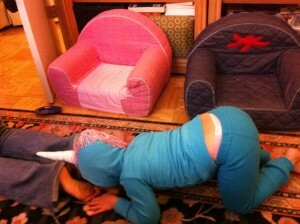 Using the glitter glue, I decorated the horn with a spiral to make it look sparkly and magical. I lay the fringe along the seam of the hood of the sweatshirt, and pinned it on through the underside. I positioned the horn on the middle of the top of the hood and pinned that on as well. 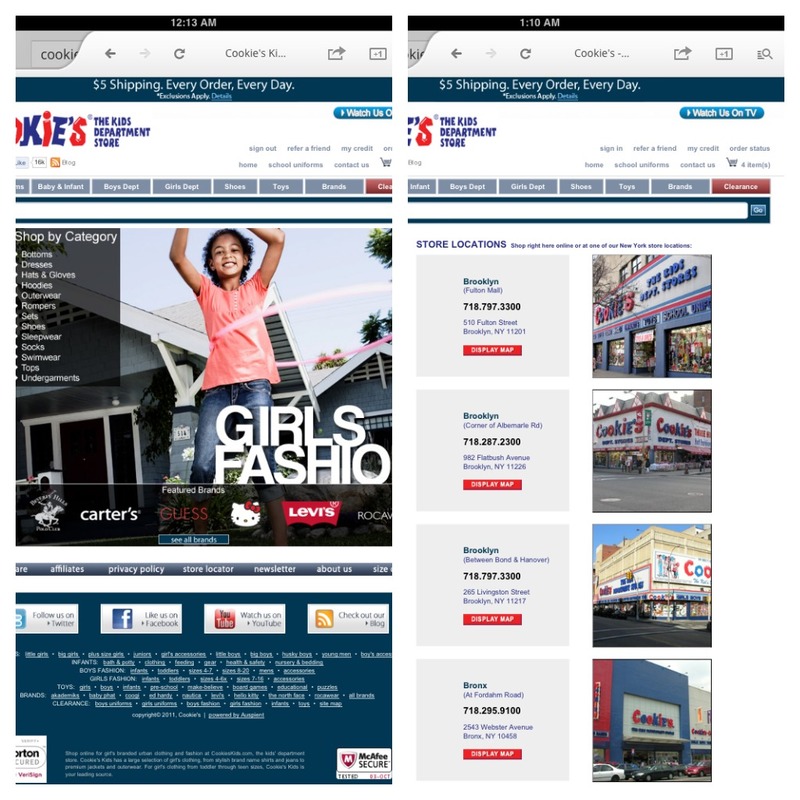 Want to find out more about Cookie’s Kids and the history of the store? Check them out on Facebook and on twitter . Inspired to shop for your own costume building blocks? Use the code PEEKABABYNY until 11/30/12 to receive 10% off sitewide! This entry was posted in Collective Bias, Crafts, Discount Codes, Products and tagged Cookies Kids, Costumes, Fall Fashion, halloween, Kids Activewear, Kids Clothes, Kids Fashion, Kids Hoodies, Kids Style by jessica. Bookmark the permalink.